Angel Eyewear has a long history in action sports, many people know the brand strictly as a women’s surf brand. Mad Media set out to create a print campaign that moved Angel Eyewear forward into fashion extending it’s reach and appeal; without totally abandoning it’s roots in action sports. The goal was to use arresting imagery to get young women to see the brand as an obtainable fashion brand. 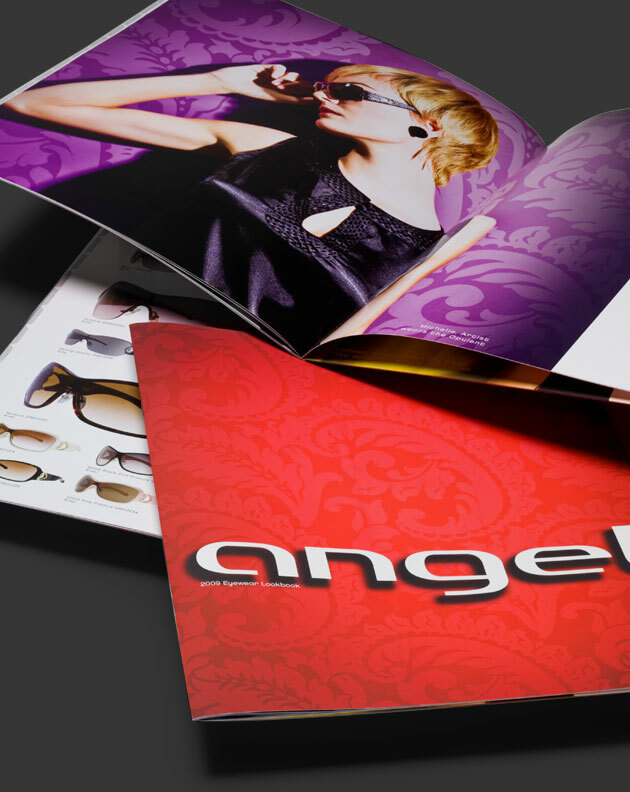 The look and feel of the campaign was carried over into catalogs, tradeshow booth, P.O.P., collateral material and the website to create a unified brand message.